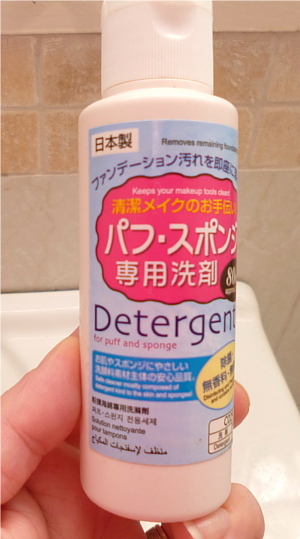 A few days ago, I tried the Daiso Puff & Sponge Detergent for the first time. This stuff was all the rage in the beauty community a few years ago, and it was even sold out for a while. 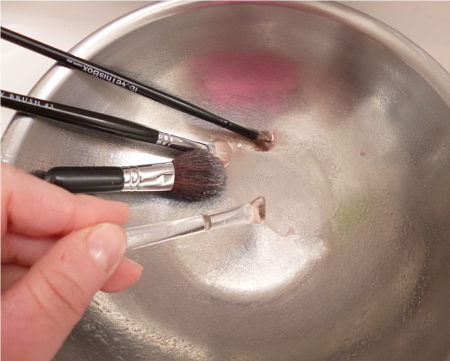 Recently I found a stash of make-up brushes while I was KonMari-ing my house, plus my regular brushes were overdue for a wash, so I decided to test it out. In the past I've used handwash. It wasn't until just before opening the bottle that I realised it says 'Puff & Sponge Detergent' -- it doesn't mention that it can be used on brushes. But I don't see why it can't. The Detergent is unscented and has no added colouring. The instructions say to rub an 'appropriate amount' into the sponge, then rinse thoroughly in water. 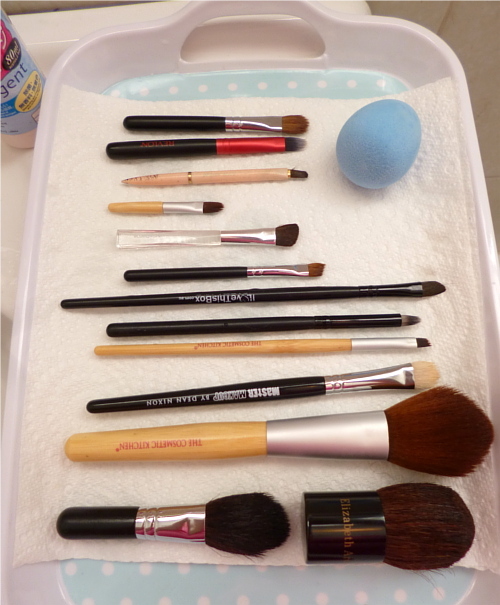 I did as instructed with my teardrop sponge, and gently rubbed the bristles of the brushes into the detergent. 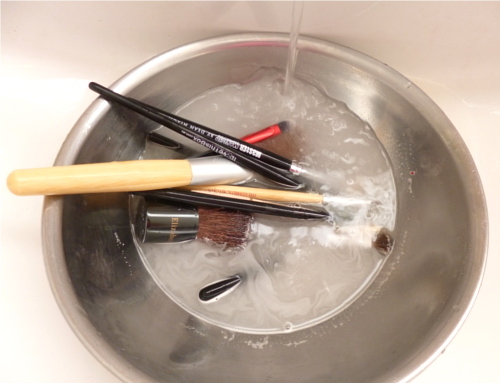 I then rinsed them in warm water. I haven't had my teardrop sponge for very long (I bought it from YesStyle in this haul), and haven't used it very much since I've had it, but the water went beige with BB Cream! 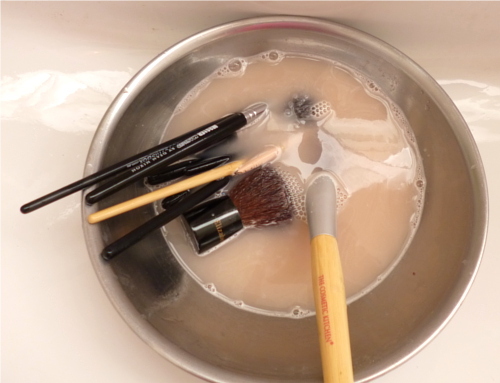 I use the brushes for eyeshadow mainly, so when I washed them, the water went some lovely shades of bronze and purple. 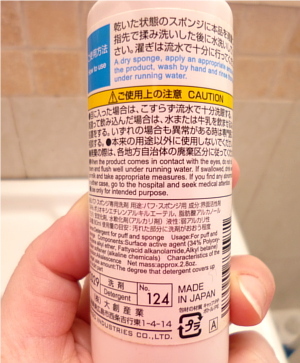 The Daiso Puff & Sponge Detergent is probably no better and no worse than using handwash or a similar mild detergent. However, it's unscented and uncoloured, and is therefore probably better for the skin. 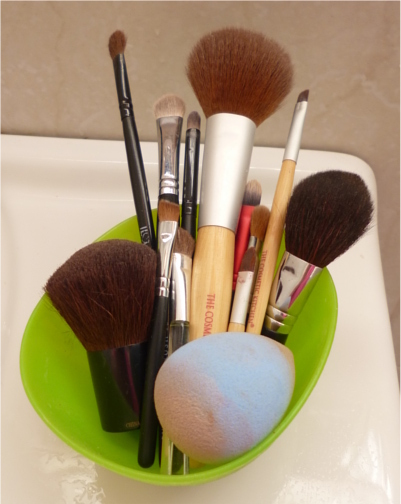 In Australia Daiso retails at $2.80, which is much more affordable than any other specialised make-up brush cleaning product I've seen.